We provided a 2 week Summer Club, including transport and intensive staffing, for 14 children with complex support needs. One tailored week for older and one for younger pupils. 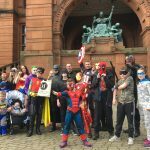 An activity and play based club for children unable to access community run schemes due to their high level care needs. We provided grants directly to carers who were caring for an adult over 21 years living in West Dunbartonshire. 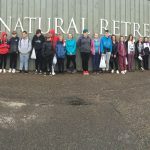 Dumbarton District Disabled Children’s Forum organised a weekend break to Aberfoyle for children and young people with disabilities and their families. Our core purpose is to provide activities to improve our children and families lives and allow them to mix with other children. 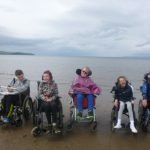 We organise monthly meetings, playschemes, social activities and we also own a caravan in Ayr. 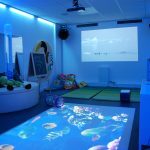 We provided one hour fully personalised sessions in our state-of-the-art multi-sensory room for young people with disabilities and their carers. This was followed by tea/coffee and cake after the session. Carers had the choice to stay or how they wanted to spend their time. 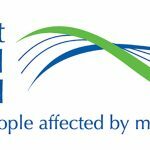 We provided grants directly to carers who care for an adult with serious mental health problems or mental illness living in Scotland. We provided respite for Young Carers who received a short break away from their caring role and responsibilities at home, by hosting Mini Young Carer Camps that included an overnight stay and/or day trips. 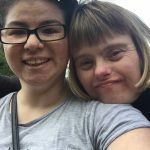 The Young Carer Mini Camps/day trips were targeted at the hardest to reach and most vulnerable Young Carers that Y Sort It engages with via our Young Carers 1-2-1 service both existing and new referrals. We provided a healthy activities break to Center Parcs in the Lake District for 20 Kinship Carers and the 30 children they care for. The break offers many opportunities to do activities such as swimming, cycling etc as well as enjoy the calming environment of the forest. The carers feel they are not all alone and feel better supported in their caring role.